Art Basel Week in Miami certainly has seen their fair share of Andrew Schoultz’s work with no less than five opportunities (six if you count his outdoor mural for Primary Flight) to admire the Bay Area artist’s work. Showing with Marx & Zavattero, Mark Moore Gallery (more on this booth later), Morgan Lehman Gallery, Jerome Zodo Contemporary, as well as selling out all 30 prints (seen above) of his gold American flags famously with Miami-based nonprofit organization Locust Projects, it certainly has been a busy and productive week for Schoultz. Deservedly, there will a private reception tonight honoring him presented by The Fountainhead Residency along with guest host Moby. Categories: Contemporary Art, Fairs, Shows & Events. 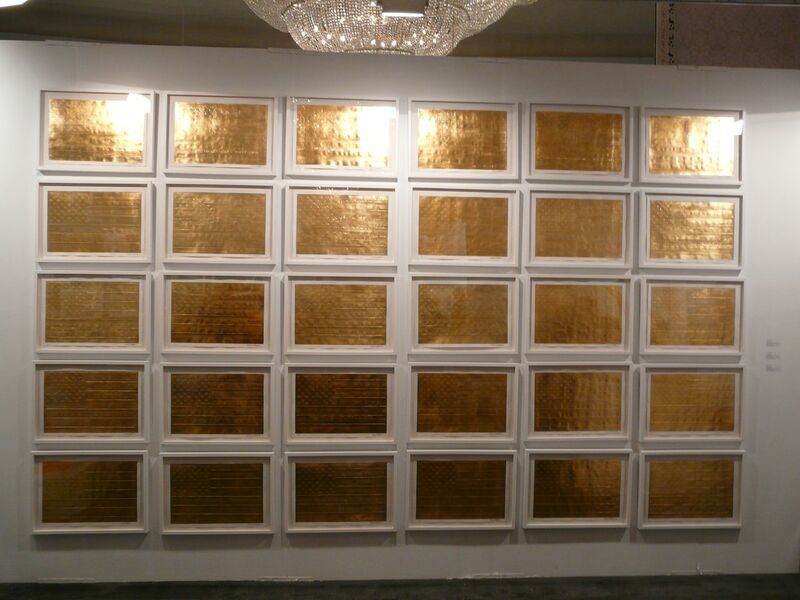 Tags: Andrew Schoultz, Art Basel, Art Basel Week Miami 2011, Art Fairs, Contemporary Art, Miami, Shows & Events.